Are you ready for the 2018 Sierra to Sage Shop Hop? The shops are just about ready and excited to see you next Thursday, Friday and Saturday from 9:00am to 6:00pm each day. Can you believe it has arrived already. Time just seems to fly by. Make sure you have your passport downloaded. Get it stamped at each store you visit and when the shop hop is over, mail it in or turn it in at the last shop you visit, for a chance to win prizes. 1. Pick up your passport at the first shop you visit or download it from the new website. Sorry, passports cannot be stamped before Sept. 6, 2018. 2. Be sure to get your passport stamped by every shop you visit. All shop hoppers must present their own passport to be stamped and will not be permitted to stamp more than one passport. Passports are not transferrable. 3. Shops are only permitted to stamp passports in their designated space. If shop hoppers forget to get their passport stamped at any shop, they will have to return to that shop to get it stamped. 4. Turn in your passport at the end of the shop hop. 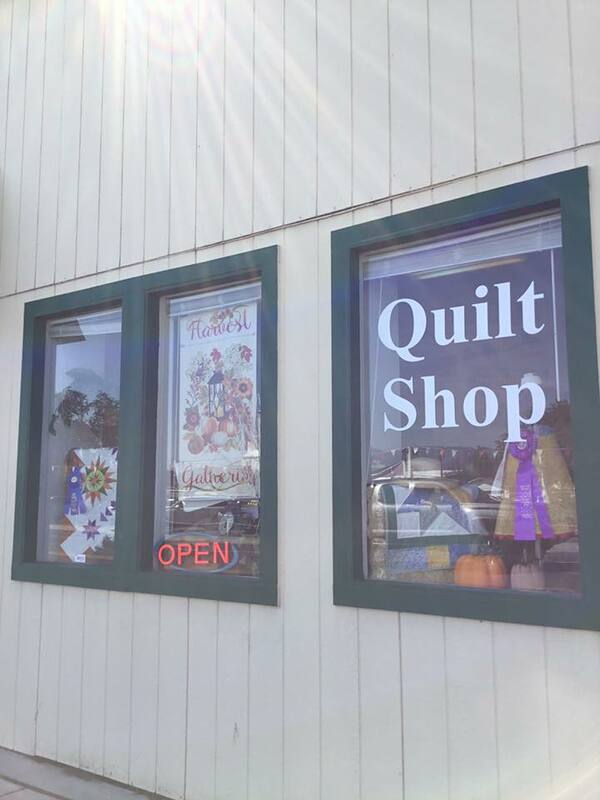 You can turn it in at the last shop you visit or you can mail to: The UnCommon Thread, 1525 W.Williams Ave. Suite L, Fallon, NV 89406. The mailed passports must be postmarked no later than Sept. 12, 2018 and must be received by Sept. 22, 2018. The Sierra to Sage Shop Hop shops will again be collecting food donations. All donations will be distributed to local food banks according to where the food is collected. In exchange for your generosity, you will receive an entry ticket for a special food drive prize from the shop you leave your donation. All food donations need to be non-perishable and in date. Canned or boxed protein-rich dinners are the most needed.